Christmas is just around the corner. 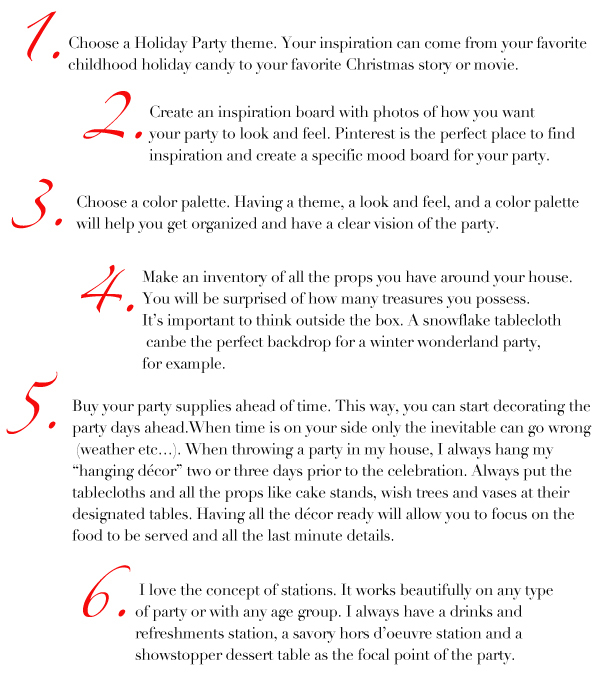 If you were on the fence of throwing a last minute holiday bash here are some wonderful holiday decorating tips to kick you into high gear. Go for it! Get your friends and family together and celebrate. 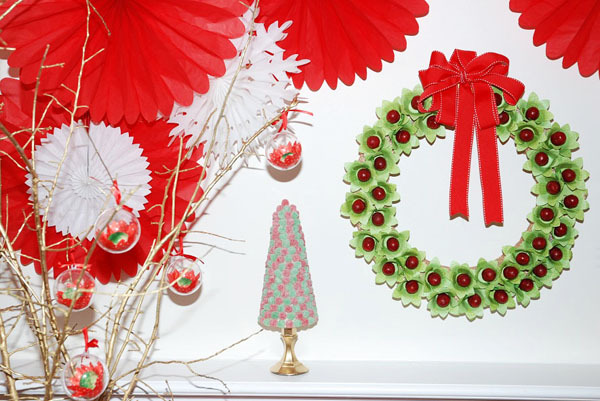 The ladies at Via Blossom did this amazing Holiday shoot we thought you would enjoy. 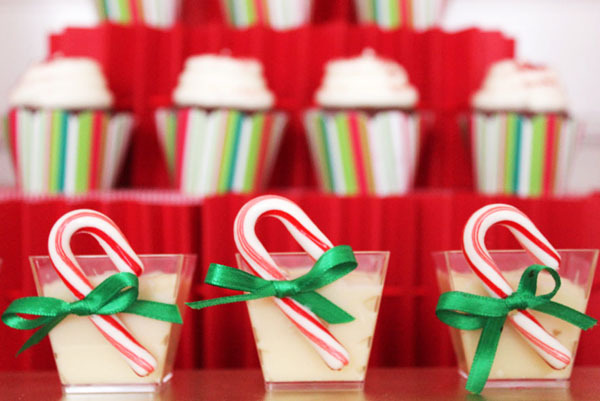 They really are experts in the dessert table arena.....I mean did you see that candy cane trees? Well, now you know how the pros do it! Thanks Maggie and Cristina!! 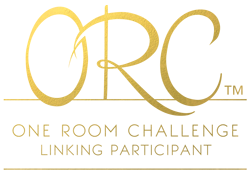 We hope you get inspired to throw your own little Holiday bash and visit Via Blossom for even more ideas. Love that a theme was chosen. This looks like the ultimate Christmas party! Great tips and what fab decorations! This would be such a fun party! These are such great tips!! And WOW, the decor in those pictures is amazing!! 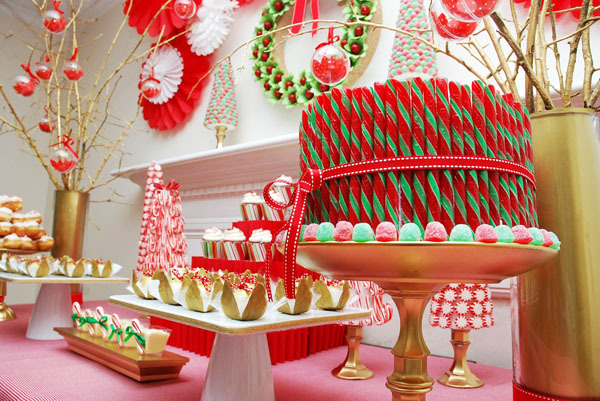 LOVE the festive green, red and gold color scheme! What fabulous & festive decorations!! 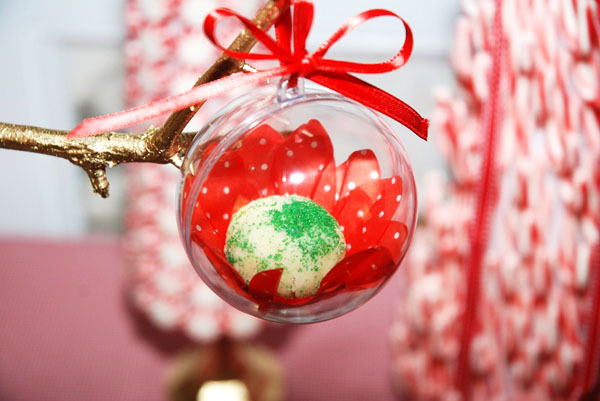 Loving that little candy cane tree! 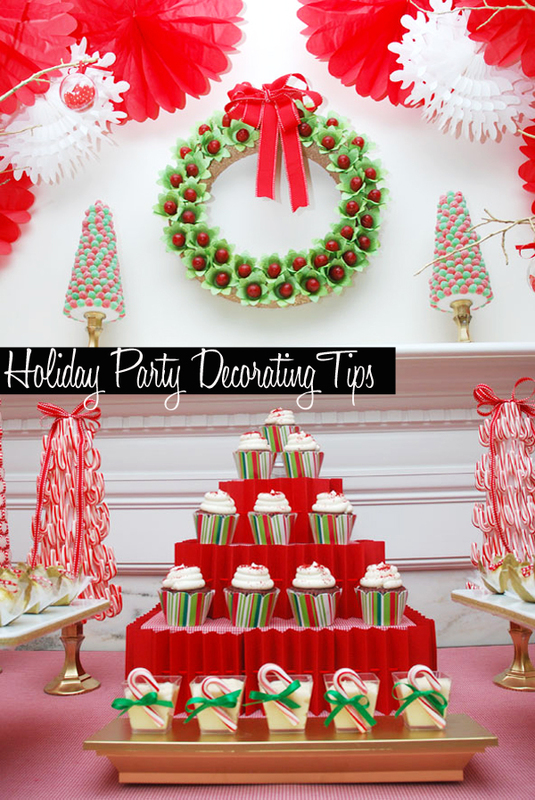 These decorating tips are wonderful, and I'm loving all the fun details in this holiday party inspiration...so pretty! I want to go to this party! Lovely! Great tips! Just in time for my party! Spending today getting all my tables set up and hanging things on the walls. The colour scheme is perfect and I'm sure everything tastes as good as it looks! I think 4 is the best advice. You really do have more around your home than you realize. Love this post. Thank you so much Albertina for having us here today! It is alway a pleasure for us. We wish you all the best on your Holiday Celebrations! Albertina amiga mía que lindas fotos de esa gran decoración de fiesta navideña . Que linda combinación de colores . Perfecta !!!! Great tips! These photos are amazing! The styling is just amazing!!!! The tips are great! Love these tips. Thank you! Beautiful sweet table and great advices! I love all those small candy canes!!! 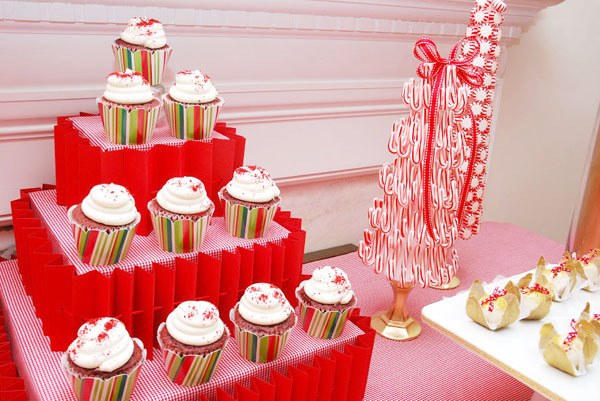 I love the cupcake holders and the candy cane tree, so cute. Well I feel like a total slacker ha ha. Amazing detail! Love the color! It's all just happy.